Now that your websites is rich of high quality, original content that you produced, and enriched with relevant content from other sources, it’s ready to accept visitors. You’ve probably noticed that, though your site has been online for the past 2-3 weeks, very few visitors (that you didn’t invite yourself) came. No one knows your site exits. And those who search for what you offer can’t find you in search engines. If you want to start seeing traffic in your site, it’s time to let the world know you exist. This step is about attracting targeted traffic to your site. Since the end of the course is near, it is unrealistic to expect your site to develop meaningful traffic during this time. However, you will still gain firsthand experience in using effective online marketing techniques. The skills you acquire in this step will allow you to continue promoting your site and any other online venture in the future. Task 1: Attract visitors from Search Engines. Your first challenge is to do some search engine optimization (SEO). When people search for what you offer, you want your site to appear as high as possible in the search results page. That’s the ultimate and only goal of SEO. Make a list of 5 keywords that you will use in order to optimize your site. To find out what keywords people use to search for what you offer you can use Google Keyword Suggestion Tool. Optimize the content of your site for the 5 keywords that you selected. Your optimization should include at least the headers, links and body text of your website. Optionally, you can also optimize names of pages and image files. Note: assume that search engines are case insensitive (A=a) and treat the single and plural form of words equally (dog=dogs). To increase the link popularity of your site (the main factor of Google’s Page Rank), identify 3 other sites that, in your judgment, should ideally link to your site. The higher the Page Rank of these sites, the better. Note that the sites must be closely related in content to yours. To really experience the challenges of online marketing, aim high. 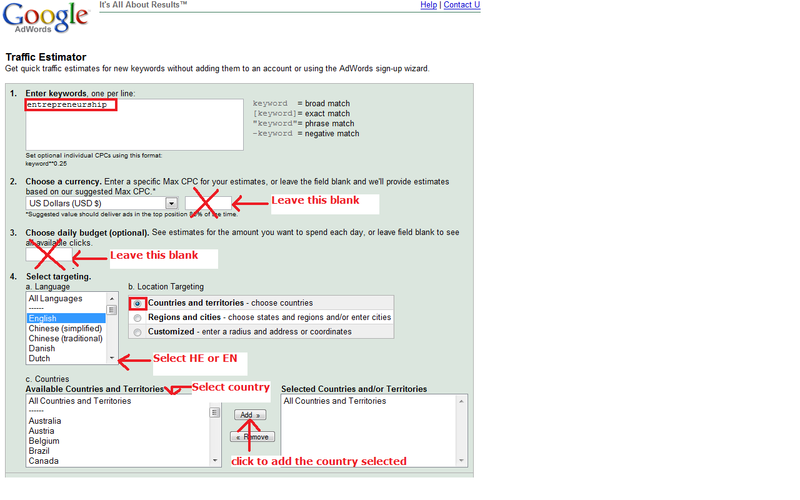 Next, try to contact the operators of some of these (or other sites) and try to convince them to link to you. It is recommended to also invest in high quality outgoing links. You can reciprocate the incoming link or find other quality sites in your category and integrate links to these sites in your text. The list of 5 keywords you target. A link to your site (we will check your SEO online). Names and URLs of the websites that you want to link to your site. For each site, explain why you have chosen it, and how you plan to convince its owner to link to your site. If they already link to your site, give the URL of the page with the link. The competition for high position in search engine results can be fierce. You will find that making it to the first search results pages for some of your important keywords is very difficult and takes time. This means that people are searching for what you offer but end up going to your competition. In this case you should consider buying your position in the search results page. Your ads will appear in the search engine’s results pages or in relevant websites as “Sponsored Links”. We will focus on Sponsored Search advertising rather than other forms of advertising as it offers highest ROI. Google, Yahoo and MSN Search allow you to buy your position in the search results page for specific keywords. This is a keywords-based Pay-Per-Click (PPC) model. Your ad will appear only when someone searches for the keywords you’ve targeted for, and you will pay for the ad only when he or she will further click it. This way you are guaranteed to get, and pay for, only targeted traffic. 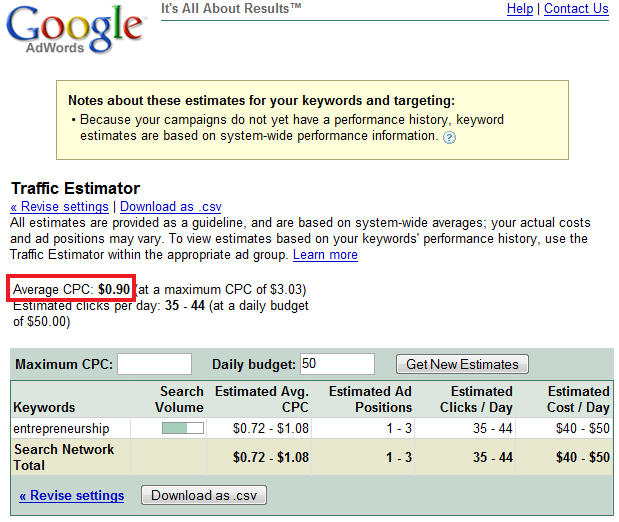 In this task you will prepare a Google AdWord PPC Campaign for your site. Select the most important keyword in your list from the previous task. Analyze the ROI of your campaign for different budgets and conversion rates. An analysis of your campaign ROI via the table below. 2-3 sentences which describe your conclusion from your campaign analysis. With the emergence of Web 2.0, many web start-ups like Facebook, YouTube, MySpace, and Digg have used buzz marketing by merging it with the social networks that they have developed. With the increasing use of the Internet as a research and communications platform, word of mouth has become an even more powerful and useful resource for consumers and marketers. Describe how Word of Mouth Marketing it can be used to generate traffic to your site. A short paragraph describing your plan for using WOMMA to generate traffic to your site. Mark the number your hit counter shows before you start this step and what it shows right before you submitted it. Include these numbers with your submission. GMBA – Sun 22th, 18:00.